Introducing 2019 Summer Camps offered at The Perfect 5th! Our focus at the Perfect 5th is to provide students with a quality learning experience and the tools that will lead them to achieve their musical, acting and artistic goals while gaining valuable life skills. With a well-rounded selection of educational opportunities, we emphasize professionalism, dedication, discipline and perseverance along with a healthy dose of fun. New for 2019 are Whole Day as well as traditional Half Day camp options. 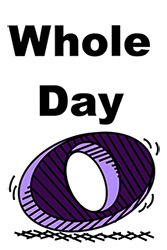 Whole: For whole day camp, students will choose an AM and a PM camp session for their preferred week of camp. Students registered for a whole day camp experience should bring a packed lunch for each day of camp. Drop off will be 15 minutes before the start of camp each day. 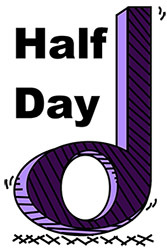 For half day camp, students will choose an AM or PM session for their preferred week of camp. Students are welcome to bring a personal snack for themselves if they wish. Drop off will be 15 minutes before the start of camp each day. A music, art and drama camp for kids who love to learn. Each day we read a story, act it out, do a related craft, and sing fun songs. On the last day of camp we will give a performance for family and friends. A classical chamber music camp where students will learn music theory and how to play in a group as a small chamber orchestra. This camp will feature two halves each day. The first will focus on voice and piano with students receiving private lessons in each. In the second half, students will to learn to draw, paint and make crafts. Both portions include fun games and activities. Early Bird Registration Fees: Payment must be received no later than 10 business days prior to the start of camp. This camp is for girls, trans, and gender variant youth interested in rock music! Students will have a chance to try guitar, bass, keys, drums and vocals, and form a rock band of their own. We will explore rock instrumentation, songwriting, and the business of being in a band so that students feel empowered to pursue their own music and self-expression during camp and beyond. Teens can express their creativity and learn art and DIY methods to express themselves in various ways. Students will print their own t-shirt, learn art journaling, create DIY jewelry and more. We will cover all the basic foundations such as chords, notes, reading both music and tablature and their differences, rhythms, fingerpicking, flatpicking, and applying the basics to rock, blues and country music. Students learn to rehearse and perform together as a band. With lots of time spent playing their instruments and trying new ones, students will learn songs, improvisation, and even get a chance to compose their own music. Final day ends with a live performance. This camp will enable theater-loving young singers and actors to develop confidence, use of voice, stage movement and character building through ensemble performance. Private voice and acting lessons included. Join us as we learn about, explore, and challenge ourselves through the physical activity of singing! What makes some notes easier to sing than others? What exactly does it mean to "warm up" for singing? How can we expand our ranges? Reenergize and rejuvenate the most important part of the acting experience: You. Discover the power of staying present in the work through the power of listening. Reclaim confidence and drive while facing those tough auditions or scenes. Rekindle your passion and love for acting in a fresh new way. Please check out summer camps for 2019. New this year is the option to sign up for a half day session or a whole day session.